Explore exciting ways to supplement distance learning with tips, activities, and inspiration on Pinterest. The free, content-sharing site where users can "pin" images linked to websites can help you find educational tips that range from effective study tips to planning a graduation celebration. Today, April 10, is Encourage a Young Writer Day. Take some time throughout the next week to celebrate and inspire your distance learning writer. Here are four fun ways to encourage your student to expand writing skills. 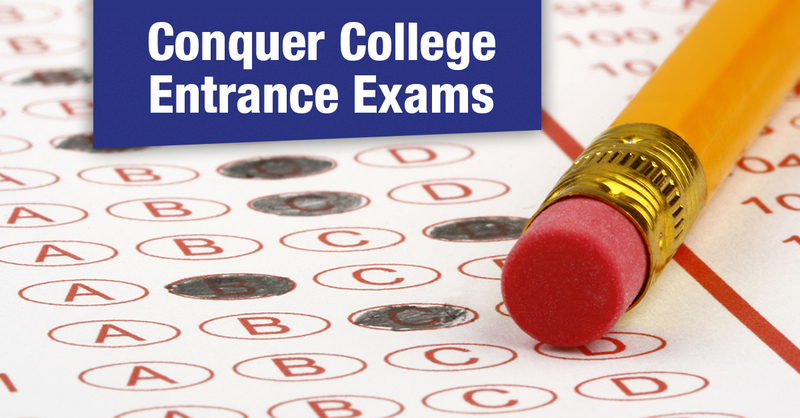 Taking college entrance exams can be intimidating for high school students. It's easy to become overwhelmed by a test that covers such a wide array of information. Furthermore, finding effective study strategies can be a challenge. Consider these five tips to help your student conquer entrance exams. March ushers in warmer temperatures and the beginning of that final season of the school year. What are you doing this spring to ensure the successful completion of all of your courses? The last leg of a race can be both the most challenging and the most rewarding. The same is true of taking courses at a distance learning school like Alpha Omega Academy. The final push to complete courses is important as you wrap up those last few projects and study for semester exams. Here are a few things that you can do to help achieve your end of course goals.